Technimount System continues to spread its distribution territory by creating a partnership with Frazer, Ltd.
We are pleased to announce that Frazer has entered a new distribution partnership with Technimount System. We will be distributing their product lines in our market segments across the Texas region and in other states. Technimount System is a renowned manufacturer of bracket mounting systems for portable medical devices. 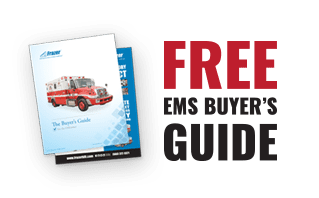 This is beneficial for those medical services looking for this option in their custom emergency vehicles. Their president, Mr. Carl Bouchard is happy to count Frazer as a new partner to expand their presence in the southern US. He also said that “Frazer, Ltd. is a major player that benefits from significant expertise in the EMS environment”. Moreover, our trust in Technimount System’s mounting systems demonstrates the quality and the flexibility that they offer to our clients. This partnership reflects the similar goals that we are both trying to achieve. 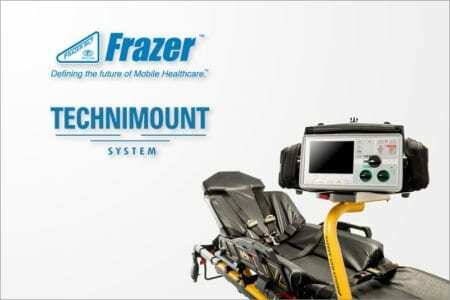 “Frazer is excited to partner with Technimount to offer such versatile mounting solutions to our EMS and Hospital customers. Their innovative products meet or exceed the latest industry safety standards while aligning with our vision to continue Defining the Future of Mobile Healthcare,” says Laura Richardson, CEO of Frazer, Ltd. This decision is in line with Technimount System’s determination to provide the safest medical devices meeting industry standards across Canada and the United States when it comes to custom emergency vehicles. For more details about this collaboration or other information on our products and further news, follow us on LinkedIn, Facebook, and YouTube. Frazer, Ltd. is the leading builder of Generator Powered EMS Vehicles. Frazer, Ltd. has been in business since 1956 and is a growing organization with over 160 employees. We specialize in Emergency Medical Services (EMS) vehicles suitable for licensing and use as Mobile Clinics, Mobile Stroke Units, and Ambulances. With existing customers located throughout Texas and around the nation, Frazer, Ltd. prides itself on an unwavering commitment to customer service, an impeccable reputation, and unmatched production quality.